Hey, thanks a lot to both you and Orengebox. You guys are awesome. Thanks so much for this. A truly amazing find. 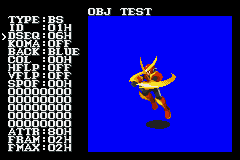 Hey Protodude any word on the Rockman X3 prototype dump? 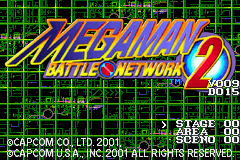 Easily, Battle Network is my top 10 Mega Man games.... ah prototype dump, maybe we can search the answer to the question, Why every chip in the game have the "*" code as available? Because having a * of every chip available makes it easier for the creators to test every chip faster without the code restrictions? Indeed, it was pretty nice to play a little with this prototype. The beta and prototype games are fun to collected! Keep them coming! Great find! Here's hoping we find the Battle Network 1 prototype! It had some really interesting differences!